Meeting in the San Fernando Valley. 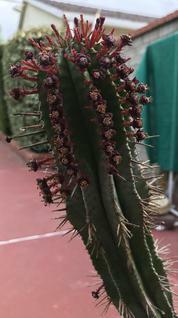 Welcome to the website of the Los Angeles Cactus and Succulent Society. Our nearly 200 members come from throughout the southland and share a passion for cacti and succulents. 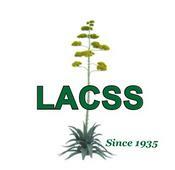 Throughout the history of LACSS, many of the most prominent researchers, authors, and collectors of the succulent world have been leaders and members of our society. LACSS meets monthly in the San Fernando Valley to enjoy stimulating presentations, hands-on workshops, plant sales, mini-shows, raffles, trading, and other activities. In addition, LACSS offers field trips to member gardens, nurseries, and private collections. We serve the greater community by offering free educational activities, upgrading the Succulent Garden at the Sepulveda Garden Center, and presenting an exciting annual show in June and a Fall Sale in September. OUR NEW LOCATION the ONEgeneration Senior Enrichment Center, 18255 Victory Blvd, Reseda, 91335. Doors open at 6:15 for the Social Hour, Ask an Expert, and much more. The business meeting starts promptly at 7:20. Attendance is FREE and open to the public. Each new visitor receives a free plant! We hope to see you at a meeting soon. 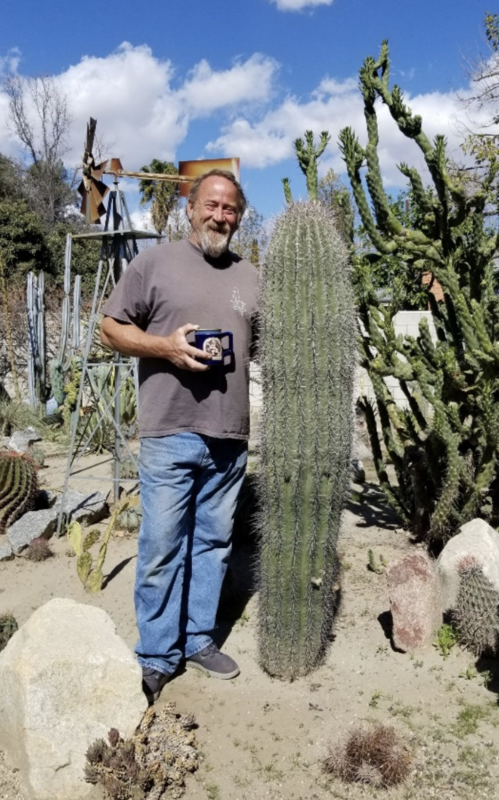 The Los Angeles Cactus and Succulent Society (LACSS) cultivates the study and enjoyment of cacti and succulent plants through educational programs and activities that promote the hobby within a community of fellow enthusiasts and among the greater public. Plant of the Month policy! I started collecting plants about 20 years ago. At first it was collecting from the local nursery in San Felipe in Baja Norte California so I could plant them around a friend’s property in Puertecitos Baja California. Then 15 years ago I bought my home in Riverside and proceeded to remove the grass in my ½ acre backyard and install rocks and cacti. The front yard soon followed, receiving an aloe and rock remodel. After those first couple of years I began to meet people that would change my whole outlook on cacti and succulent plants. It was at this time I ran into a person whom I would later call my mentor. My mentor took the time to instill in me the drive to learn correct terminology and spelling of plants. He also taught me to take a more scientific approach of gathering information. It was this approach that I call “playing with my plants” which gave me the willingness to do what I have done to plants, in the name of further education.